Which Fundraiser Is Right For You? | The Latest Fundraising Buzz! All fundraisers are not created equal. 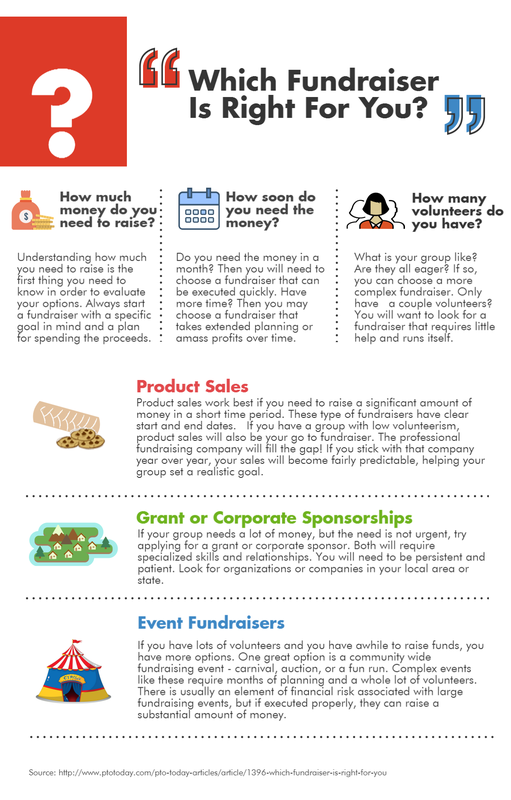 Check out the infographic below to see which fundraiser is right for you!